Soooo...let's say you've read lots of planning advice and your reaction was "WTH?! I'm on vacation. I don't want to do all of that." While that will never be me on a Disney World trip (I think it's fun to spend months putting together a plan and then get up early to see the parks open), I can respect that there are many styles of vacations. This new way of booking FastPasses is actually quite helpful for people who want a more easy-going trip. Although it will require you to still plan ahead, it won't require you to get up early and run around grabbing FastPasses before they run out. FastPass+ will allow you to book rides at whatever time of day works for you. Want to sleep in and start your days around lunch time? Then you can book your FastPass+ reservations for the afternoon. Whatever works for you. WDW Prep Members have maps and attraction info telling you when to visit each attraction. 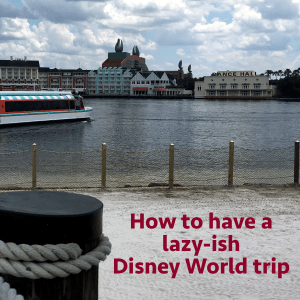 That's useful for people who plan to arrive late because you can just dive in to whichever attractions are best to visit during your hour, and then use FastPass+ to visit attractions that are best to visit earlier than your arrival time. Although I'm not generally a fan of Extra Magic Hours, I'm coming around to the possibility that evening Extra Magic Hours can be a really great thing. In fact, the first two hours that the parks are open is probably very similar to the last two hours during evening Extra Magic Hours. For people who like staying up late and don't want to get up early, this will make it easier to ride without long lines. One of the benefits to planning way ahead and having a schedule is the ability to eat at the most popular Disney World restaurants. This is completely optional and there are many other good choices. Along with the Quick Service restaurants (which don't have or require reservations), you can check out good Table Service restaurants that often have availability. Some of those restaurants include: Liberty Tree Tavern (at Magic Kingdom), Marrakesh (at Epcot), Biergarten (at Epcot) and Sci-Fi Diner (at Hollywood Studios). I highly recommend downloading Disney's My Disney Experience app which will allow you to not only make FastPass+ reservations but also make dining reservations on the fly. Visiting during peak times like Spring Break, summer and Christmas week requires more planning and is less laid back. Plan to go to Disney World during a less busy time to have a more laid back time. Read my info on picking a good date to help you do that. While most people plan to visit a park most every day, you might want to schedule days out of the parks more frequently. Maybe 2 days in the parks and then 1 day off would work well for you. On non-park days, there are lots of opportunities to enjoy the resort pool, maybe spend a little time strolling through Disney Springs, or just hang out in your room and take it easy. The most stressful part of any Disney World trip is trying to fit it all in. The truth is that nobody will fit it all in, but people wanting to have a more relaxing trip should plan to just identify a few must-do attractions so there isn't a big hurry to get to them all. I’m glad you shared and updated this post! We Disney fanatics sometimes forget that there are people out there that don’t want all the craziness in their trips. It’s nice to see an article geared to those who just want to slow down while there! Great tips! Disney is such a relaxing vacation for my family. Not having to buckle kids into car seats, not even having to get in the car at all, always being walking distance from a meal, loads of fun for everybody no matter what is on the day’s schedule! There’s nothing more relaxing than that! I was amazed at the price of just entry into Disney World. I figured out it would be over 1,000K for 4 of us for I forget if it was 4 or 5 days. But then I’m spoiled when our son was young my husband had a yearly meeting at Disney World and his job paid for us to stay at the Yacht Club and many other expenses. Now with our grandchildren that option has passed. It also seems so much more overwhelming and complicated. approximately 25 years ago there was no need for Fast Passes etc. However much of that was because we were there in October and that’s still a great time to go. So maybe no Fast Passes still needed. 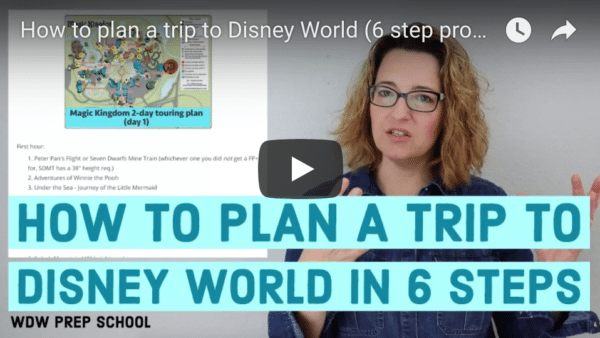 Spend 4-5 days at Disneyland instead! You can go at a much more leisurely pace and still see nearly everything. I know DL isn’t quite the same thing as WDW but at least you are still getting some of the Disney magic but at a more relaxed pace. Once you have rested up and are ready for another intense and active vacation, go back to Disney World! I think being a disney world is the ONLY time I actually like waking up at the crack of dawn to start my day 🙂 we do however have a day in the middle of our trip for nothing planned … Well no park visit. This sounds like the trip we would like to take the next time we go. My hubby was not a fan of waking up early and racing around the park. Being able to show up later and rides the rides we liked and enjoy the night time would be nice!